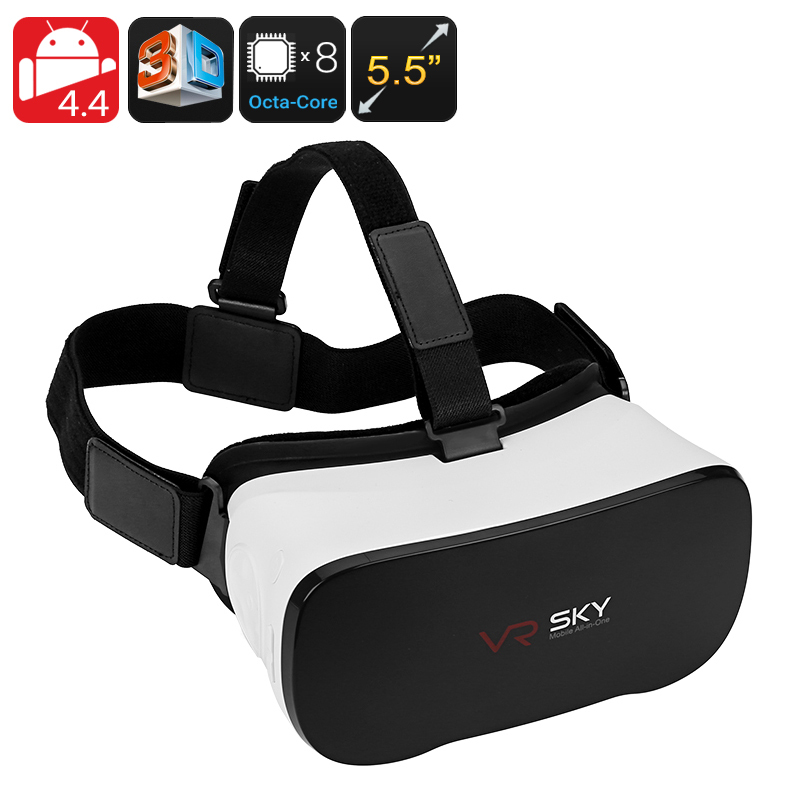 Successfully Added Android 3D Enabled Virtual Reality Glasses - 5.5 Inch FHD Display, 1080p, Octa-Core CPU, Google Play, Micro SD Slot, Wi-Fi to your Shopping Cart. Experience an entirely different way to see the world. With these Android all-in-one 3D VR glasses you can experience the latest 3D movies, games and mobile applications in absolute stunning detail. With its cinematic wide view these Android VR Glasses let you experience your favorite movies as if you were watching them in your own private cinema. Simply slide on the VR headset and adjust it with its Velcro straps to ensure it fits you well and comfortably. Featuring a fully padded cushioning around the sides this VR headset is comfy to wear no matter the shape of your head. Once in place you are ready to discover an entirely new world of stunningly realistic VR gaming, 3D movies, and a whole lot more. Its powerful hardware configuration ensures you that you will be provided with the most up-to-date technology and a mind blowing realistic virtual experience. Featuring an Octa-Core CPU that has been clocked at 1.8GHz, 2GB of RAM, and the PowerVR SGX544 GPU these 3D VR Glasses are capable of handling the most demanding 3D games and movies alike without dropping a single frame. Thanks to its 4000mAh battery you are able to enjoy all the amazing features these VR glasses have to offer for up to 6 hours on one charge. With Google Play installed you have free and unlimited access to millions of the latest Applications, 3D games, movies, and more. Browse the web and download all your favorite media files and enjoy days of fun and entertainment. Thanks to its 16GB or internal storage and additional 32GB of external memory these VR Glasses offer enough space for you to save all your beloved files – enabling you to bring along tons of movies, games, and entertainment wherever you’re headed. These 3D VR Glasses come with a 12 months warranty, brought to you by the leader in VR Glasses as well as wholesale electronic gadgets..